Three in five adults agree that obesity is a significant problem in the United States, according to a new infographic by TeleVox. The infographic looks at the growing obesity rates among males in the United States and how to address obesity. Since its passage, the Patient Protection and Affordable Care Act (ACA) has sent major ripples across the healthcare landscape. ACA has also underscored the value of disease management in population health as a strategy to improve health outcomes and slam the brakes on healthcare spend. To illustrate the contributions of disease management across the care continuum, the Healthcare Intelligence Network has compiled 38 Disease Management Metrics: Population Health Benchmarks to Drive Accountable Care. Through a series of 38 graphs and charts, this 35-page resource dives deep into several years of market research to document the role and outcomes of disease management in 11 key areas, as well as the high-focus diseases and health conditions. 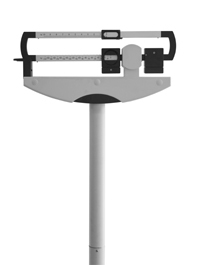 Obesity is officially an epidemic, and it costs the healthcare system approximately $90 billion per year, according to the surgeon general. In the United States, one in three adults and one in six children are considered obese, according to a new infographic presented by PhentermineWars.com. This infographic also identifies factors and risks, health concerns and deaths associated with obesity, current obesity rates, the top 10 obese states and more. This month’s inside look at a health coach, the choices she made on the road to success, and the challenges ahead. (Jeaneen Mullenhard): I was a late bloomer. I got my original nursing diploma from the Maryland General Hospital School of Nursing. My first job after that was at St. Agnes Hospital on a medical surgical unit. I worked as a registered nurse (RN) in a host of different fields for about 20 years before I went back to college. I did inpatient, outpatient, insurance physicals, chart reviews; I was a legal nurse’s consultant, and a school health nurse. I also did pediatrics and ran pediatric free-standing urgent-care centers for a little while. When I went back to college, at Bowie State University, I did an RN and MSN program, and received my family nurse practitioner (FNP) degree. My first job out of college was officially as an FNP with the Minute Clinic, one of the nationwide retail health clinics owned currently by CVS Pharmacies. Every job I’ve ever had has taught me something. The one thing that really stood out to me as I progressed and moved forward in my FNP career was that it always seemed like we were chasing the cart. And by that I mean, always running to stamp out disease, never preventing it. One of my more recent FNP jobs was for a national company that provides onsite healthcare clinics to some major self-insured employers. 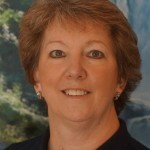 I was the clinical quality manager, and helped develop guidelines and protocols for the company on a nationwide basis. They were developing a health and wellness program, which is how I got exposed to health coaching. They sent me to Wellcoaches to learn about it, and I helped them develop 17 health and wellness coaching programs for their clinics. I thought, “I’ve only fixed disease, I’ve never prevented it before. That’s an interesting concept.” So it was a real eye opener for me, because I wasn’t quite sure what I was going to learn. I found that there was a tremendous amount to learn. And it actually helped me make changes in my own life. Because of my medical background and FNP degree I received both a Certified Wellness Coach and Certified Health Coach certification. Has there been a defining moment in your career, perhaps when you knew you were on the right road? The defining moment would have to be, as far as health coaching is concerned, when I participated in the Coach the Coach program at Wellcoaches. They pair coaches, so I had one of them coach me, and then I coached a different coach. Receiving that coaching has really been very important to me, because it helped me to keep myself well, focused and on track so that I’m better able to help my clients. And I see the difference in my own coaching, in how I approach things. How has your medical background impacted your coaching? For one, I don’t have to ask a lot of questions. I understand why people are saying, ‘I have this, and my doctor said that.’ But one of the drawbacks to having a medical background is, having done it so long, it is very hard not to flip and be the expert as opposed to the coach. I sometimes have to sit on my hands, bite my tongue and not say, “Really, this is how you need to do this.” Coaching is client-focused. Now I’m finding that I don’t want to be the person with all the answers. I want to help other people find their own answers that are going to work for them. I founded Fundamentally Healthy about a year ago. I specialize in helping people with weight loss, weight management and diabetes lifestyle management. 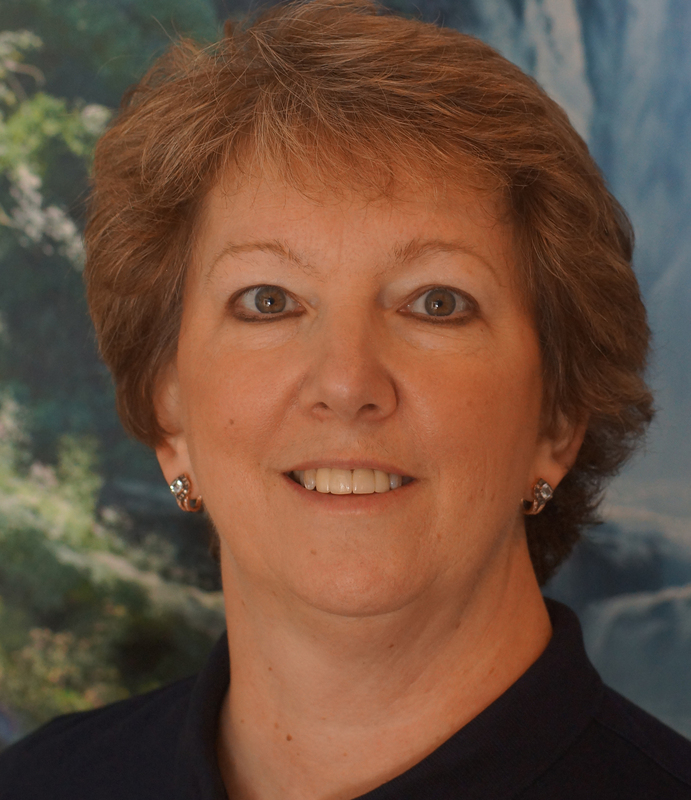 It’s a single-person practice, with offices in both Severna Park and Stevensville in Maryland. I do some group coaching in my Diabetes Free Zone program, which is part of Diabetes Free America, where I help serve my diabetic clients and get everybody to share and open up, and it has worked very well. I also offer individual coaching, and some Medicare Wellness services. Now that Medicare has begun to cover those services, this will hopefully lead the way for other insurers to start looking at wellness services and coaching as a covered benefit. I also do independent health coaching for Take Shape for Life, a lifestyle management program focusing primarily on weight loss with some meal replacements, but mostly learning lifestyle changes, dietary changes, eating patterns as well as exercise, sleep and stress management. What are two or three concepts or rules that you follow in health coaching? First, that it’s a very safe zone. In order to really explore where your vision lies, and to really get down to basics, you have to be able to be honest with yourself. I tell my clients that it’s okay, no matter what they say, it’s more important to get it out there just so that they can hear or see it. Second, that it’s also a positive zone. Everything should be focused on the positive. There are negatives that happen in our lives, and it’s important to aknowledge them, but it’s more important to focus on the positives. What is the single most successful thing that your company is doing now? Right now, my company is doing a lot of community outreach to get the message out about what coaching is and how it can benefit anyone, no matter how young or how old you are. Not a lot of people in our area (rural to suburban on Maryland’s Eastern Shore) know about health coaching. It’s a relatively new concept. Most people think it’s personal training. So I’m doing a lot of community outreach and free seminars, going to various community groups and speaking to them about health coaching. What is the single most effective workflow process, tool or form that you are using in coaching today? My most effective process is frequent communication. I conduct weekly coaching sessions with most of my clients. And I typically touch base with them via email twice in between sessions just to let them know that the support is there if they need it. If they’re feeling challenged, they can email. If it’s an emergency, they can call. I want them to know that it’s not a once a week, one hour thing, it’s something they have to work at all the time and it doesn’t matter if it’s morning, night, there’s a link via email to connect with someone who is there to support them. Do you see a trend or path you have to lock on for 2013? With Medicare opening up and offering more wellness services, particularly obesity prevention services, that’s going to be a big impetus to get the wellness initiatives out there. And for 2013 the biggest thing is going to be about the resources available to promote those wellness initiatives. For me the most satisfying thing is that I have an opportunity to work with people who truly are interested, invested and engaged in improving their health. I work part-time at an urgent care walk-in center and sometimes the only thing those clients are engaged with right then is: ‘Make my fever go away, make my head stop hurting, make my ear stop hurting, make the cough go away.’ It’s not about the underlying symptoms, how to get there. So it’s very nice to see that people are really interested in prevention, that they’re interested in making changes, that they’re invested in that. What is the greatest challenge in health coaching and how are you working to overcome this challenge? The greatest challenge right now is that private health coaching is not covered by insurance. I have recently engaged in dialogue with a physician who is a former deputy state health director. She is working with the state health insurance exchanges about the value of health coaching and having it included as part of those insurance exchange plans. I’m very excited about that. I was born in Baltimore, Maryland. My father was in the military, so we moved around a little bit. But home has always really been in the Maryland area. I got my masters degree from Bowie State University in Bowie Maryland. Just that I survived, because I was an adult learner when I went to college. I had two teenaged daughters and a full time job. I am married to the same man for the last 30 years and I have two adult daughters. One is a physical therapist and my oldest daughter is married with two little boys, so I have two grandchildren. Recently people have asked me that same question, and I always tell them my hobby is working. I don’t really have a hobby, to be honest. I’m one of those people who doesn’t like the grass to grow under her feet. So I do a lot of volunteer work. I am on the Anne Arundel County (Maryland) Obesity Prevention subcommittee, I am the treasurer for the Maryland Academy of Advanced Practice Clinicians, and I’m a member of various professional and civic organizations that do a lot of volunteer work. So my hobby is working. The most recent movie that I saw that I would highly recommend was Lincoln. It was very well done and it was very nice to see our forefathers actually taking a few minutes and having some very reflective thoughts. It’s a matter of moving forward. I really enjoy what I do and I love the opportunity to be able to get information out about health coaching, and about the value of it to our communities. A majority of mental health issues emerge in adolescence, with 14 being the most prominent age, according to a new study from UCSF’s Department of Pediatrics. It’s a frightening statistic; at a time when kids are dealing with real life situations (grades, peer pressure, pimples) they also have to struggle with less tangible conditions, like anxiety, depression, even learning disorders. Yet, despite the widely known prevalence of this, nearly half of today’s adolescents lack a medical home, which could provide them with the appropriate treatment, researchers say. The medical home’s comprehensive, team-based care could be the best way to help teens and families through this scary time. More on how this healthcare model can be effective inside this issue. Assessing the effectiveness of team-based care delivery methods is also the subject of a new study published in Population Health Management. Researchers from George Washington University, Virginia Commonwealth University, and Carilion Family Medicine conducted case studies of small primary care practices to assess three team-based care models and to see if they can improve primary care delivery and patient outcomes. Improving patient care, practice workflows, and patient and physician satisfaction, researchers say, are competencies that have become expected of physicians as the healthcare landscape evolves. The art of appreciative inquiry, a health coaching tool that is becoming more accepted in the medical community, can also help improve patient care and satisfaction. While all coaching tools are used to help inspire and engage people, appreciative inquiry is particularly effective because it builds on a person’s strengths instead of weaknesses, says Dennis Richling, MD, chief medical and wellness officer for HealthFitness. Too often attention goes into fixing what’s broken instead; by tapping into what’s already positive, the person is empowered to continue to make positive changes. Fixing the nation’s economy is key to the record slow growth in health spending in recent years, say analysts in a new Kaiser Family Foundation report. Based on statistical modeling and analysis by health cost experts at the Foundation and Altarum Institute’s Center for Sustainable Health Spending, studies find that the economy is responsible for 77 percent of the slowdown in health spending, a category encompassing what individuals, employers and governments collectively spend. The remaining 23 percent results from changes in the healthcare system, including higher deductibles and other cost-sharing that dampen patients’ use of services, as well as various forms of managed care and delivery system changes. Though the recession will likely continue to dampen health spending growth over the next couple of years, the study projects that expected economic growth will drive up health spending in years ahead, gradually adding 3.5 percentage points to the annual growth rate by 2019. This would push the annual growth rate in health spending back over 7 percent, which is much closer to historical averages. And lastly, current methods for estimating the costs and savings of federal health legislation also need to be fixed, because they are missing billions of dollars in potential long-term returns from effective obesity prevention policies, according to a new study released by the Campaign to End Obesity. Changing the way cost estimates are created would give policymakers a clearer picture of costs and savings, the report concludes. Reimbursement for prevention efforts and employer engagement are among seven high-impact recommendations from the Trust for America’s Health (TFAH) to prioritize prevention and improve the health of Americans. “A Healthier America 2013: Strategies to Move from Sick Care to Health Care in Four Years”, a new TFAH report, illustrates the importance of taking innovative approaches and building partnerships with a wide range of sectors in order to be effective. The report outlines top policy approaches to respond to studies that show that more than half of Americans are living with one or more serious, chronic diseases, a majority of which could have been prevented; and also that today’s children could be on track to be the first in U.S. history to live shorter, less healthy lives than their parents. Encourage all employers, including federal, state and local governments, to provide effective, evidence-based workplace wellness programs. “A Healthier America” also features more than 15 case studies from across the country that show the report’s recommendations in action. The report also includes recommendations for a series of 10 key public health issues: reversing the obesity epidemic; preventing tobacco use and exposure; encouraging healthy aging; improving the health of low-income and minority communities; strengthening healthy women and healthy babies; reducing environmental health threats; enhancing injury prevention; preventing and controlling infectious diseases; prioritizing health emergencies and bioterrorism preparedness; and fixing food safety. Globally one in 10 children are obese, but the epidemic is not getting the attention it deserves, according to new metrics by GLOBALHealthPR, which measured the online conversation rates for childhood obesity. An infographic by GLOBALHealthPR analyzes online conversation rates for childhood obesity compared with other diseases. 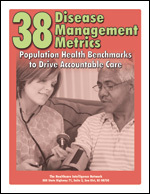 2012 Healthcare Benchmarks: Diabetes Management provides more actionable data from the 83 responding organizations on current diabetes management programs and their impact on population health outcomes and healthcare spend.